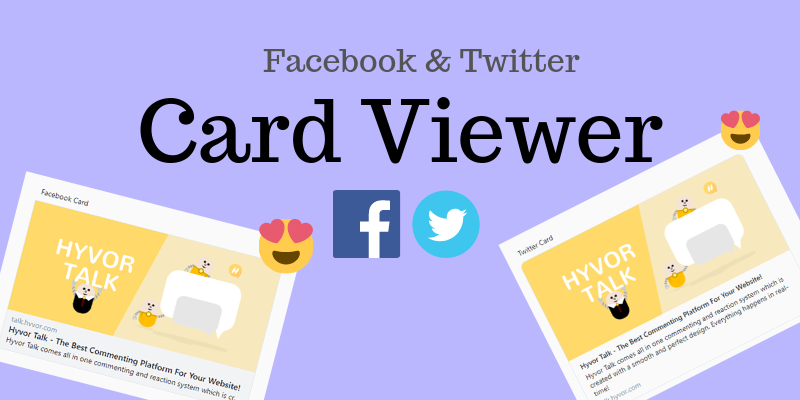 Facebook & Twitter Card Viewer is a PHP script that fetches metadata from any URL and previews a card in the browser. This script includes a rich crawler written in PHP. It crawls and gets card-related metadata from any URL. It can even find endpoints of short URLs and get the data from the last URL. Also, the crawler is well-commented and can be easily modified to do more complicated tasks. The preview is hand-made and I don't use any iframes from Facebook and Twitter to generate them. Currently, the following types are supported. What can I do with this script? Learn: You can learn some things about crawling, fetching, handling redirects, cURL, creating cards, etc. 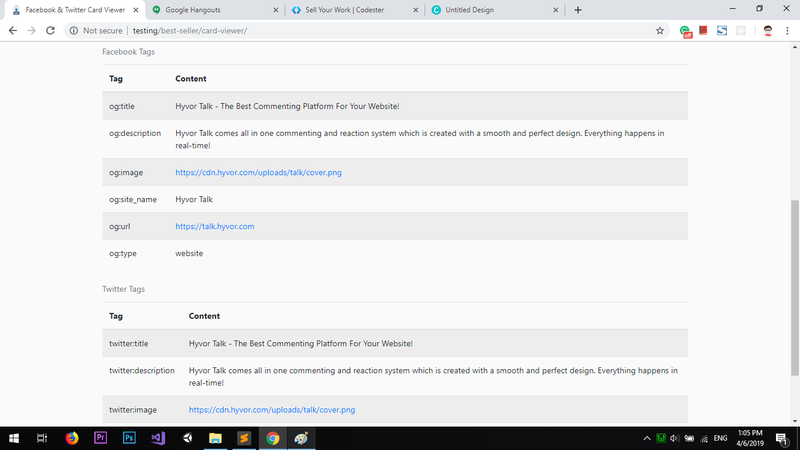 Earn Money : You can host this script in your website and you can earn by showing ads in this page. Just signup to an advertising site (Ex: Adsense) then place your ad code at the bottom. Debug your web pages: You can use this script to debug your web pages, find if the card views are working fine. And, to check the meta tags. Can I customize this? Of course, That's what this is designed for.